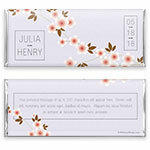 This pretty, fresh wrapper design will bring a touch of elegance to your celebration. 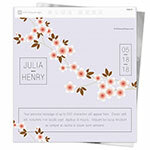 Design: Pretty Japanese cherry blossoms with modern text layout. Personalization: Front names and date, back message box.